Few things trump a warm, sugar-coated doughnut filled with oozy Nutella ganache. 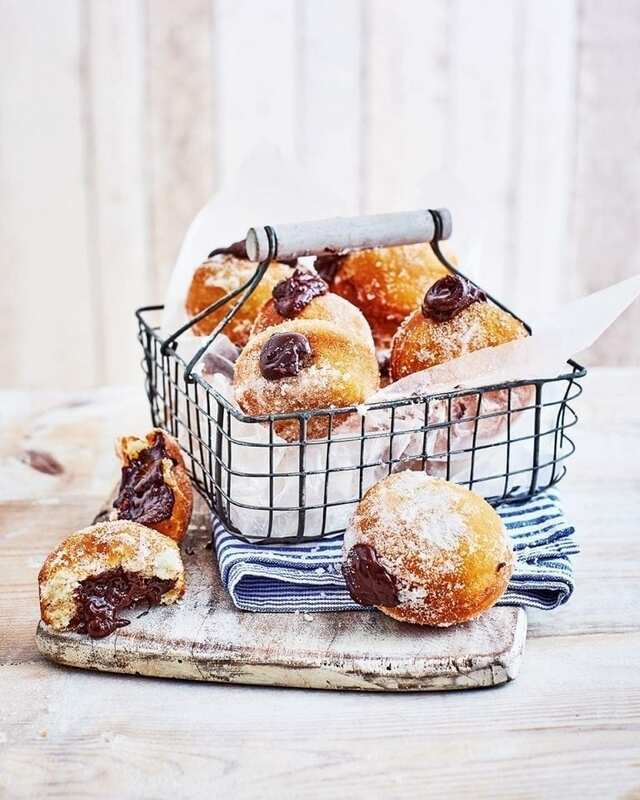 Find out how to make these Nutella doughnut beauties with Laura Petersen’s step-by step guide. 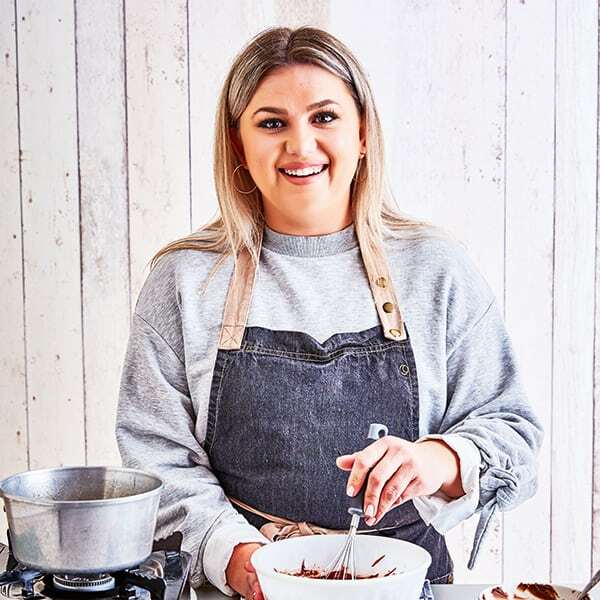 Laura Petersen is the talented executive pastry chef at the London outpost of The Coal Shed, a popular Brighton restaurant. Previously she was head chef at The Salt Room in Brighton, part of the same group. She’s worked in top kitchens, including Raymond Blanc’s Belmond Le Manoir aux Quat’Saisons and Dan Barber’s Blue Hill at Stone Barns in New York State, USA. This recipe makes 12. Hands-on time 1 hour 15 min, plus rising, proving and chilling. You can make these by hand but it’s hard work. To see how to work in the butter by hand here. Fry the dough offcuts, dust in sugar, drizzle with lemon juice and eat as a cook’s perk. Don’t rush the rising/proving in the recipe (steps 2 & 5). Wait until they double in size. This will ensure light-textured doughnuts. Adding chilled cream to the ganache (step 3) ensures it doesn’t split and keeps it smooth and glossy. When making the ganache (step 3), if the cream doesn’t melt all the chocolate and Nutella, put the bowl over a pan of simmering water (don’t let the water touch the bowl) and stir until combined. Eat doughnuts while still warm. They taste even better. 1. Warm the milk in a heavy-based pan until lukewarm, then take off the heat. Use a thermometer to check it’s no hotter than 37°C (any hotter will kill the yeast). Whisk in the sugar and yeast. 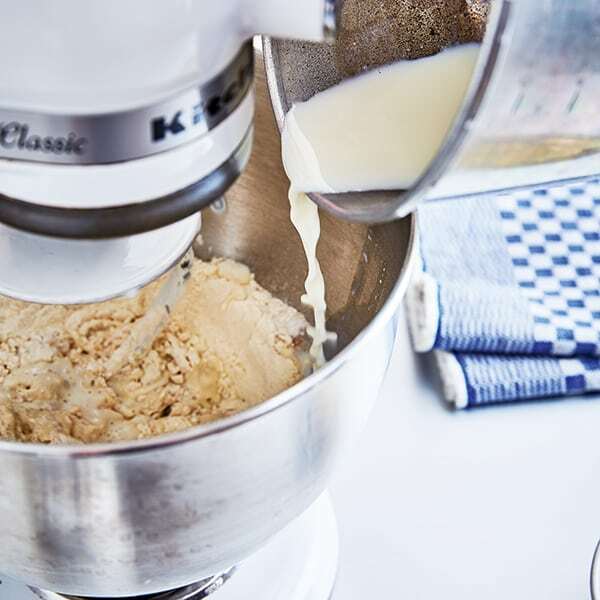 Put the flour and a pinch of salt into the bowl of a stand mixer fitted with a dough hook, then add the milk and mix for a 2-3 minutes until a rough dough begins to form. 2. 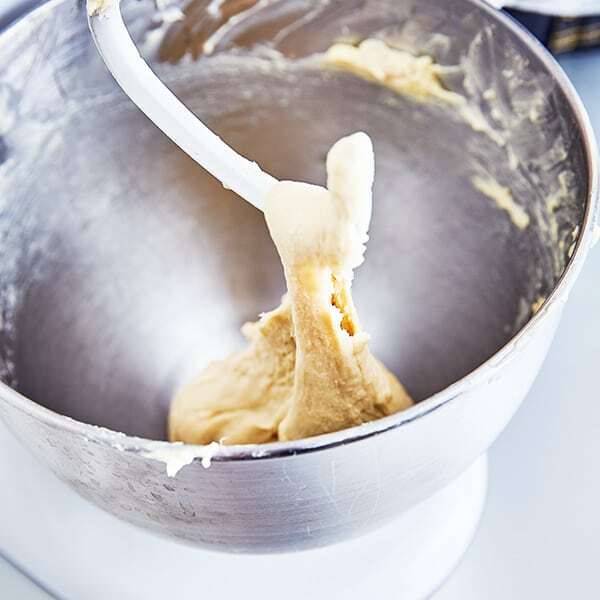 Add the softened butter bit by bit, mixing on a medium speed for 5 minutes until the dough is smooth and elastic. It shouldn’t stick to the bowl or your hands; if it does, mix until the consistency is right. Put the dough in an oiled bowl, cover with oiled cling film and leave to rise for 1 hour or until it has doubled in size. 3. While the dough is rising, make the Nutella filling. Put 100ml of the cream in a heavy-based pan and bring to the boil. Put the pieces of chocolate in a medium heatproof mixing bowl. Pour the hot cream over the chocolate and whisk until smooth and combined. 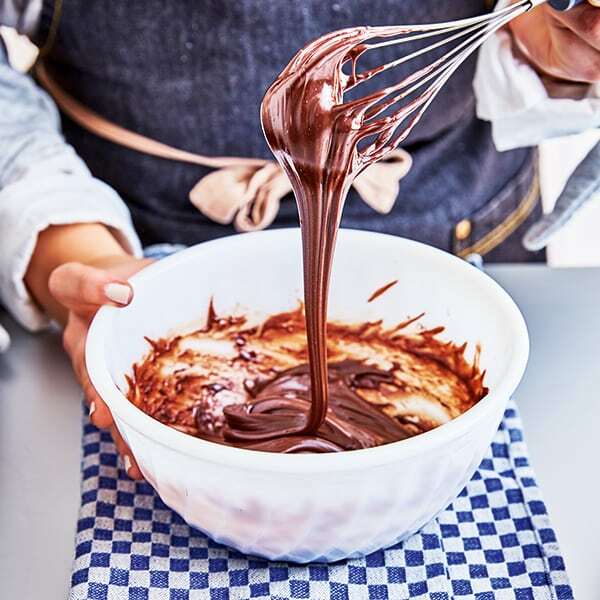 The ganache might look like splitting but keep whisking, then add the final 50ml cold cream and the Nutella and whisk until combined. Chill for 10-15 minutes to firm up to a pipeable consistency, then spoon into a disposable piping bag (no need for a nozzle). 4. 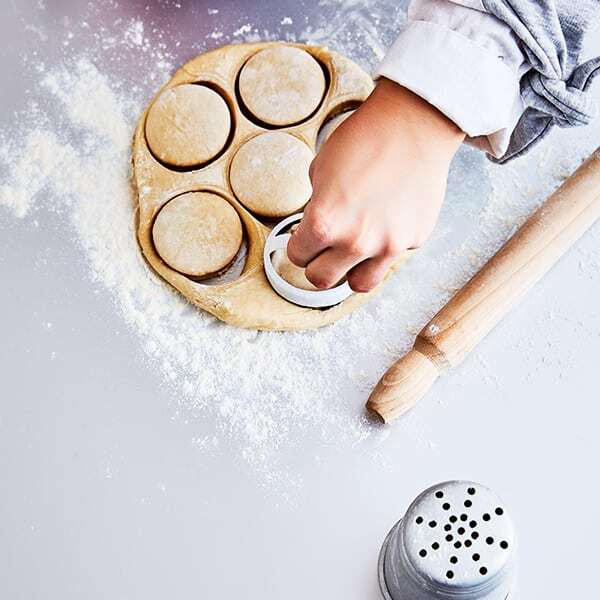 Lightly flour a work surface, tip out the dough and knead once or twice to remove any excess air. Halve the dough then, using a rolling pin, roll out each piece until 2.5cm thick. 5. Dust a 5cm or 6cm cutter in flour, then stamp out 6 doughnuts from each piece. You’ll have offcuts, but the dough is best only rolled once. Put on a baking tray lined with non-stick baking paper and leave to prove somewhere warm and draft free for 30 minutes or until doubled in size (the time will vary depending on the temperature of the room). During the last 5-10 minutes of proving time, heat the oil for frying in a large deep saucepan (don’t fill it more than two-thirds full) until it reads 160°C. Have 2 trays to hand: one lined with kitchen paper and another sprinkled with caster sugar to dust. 6. 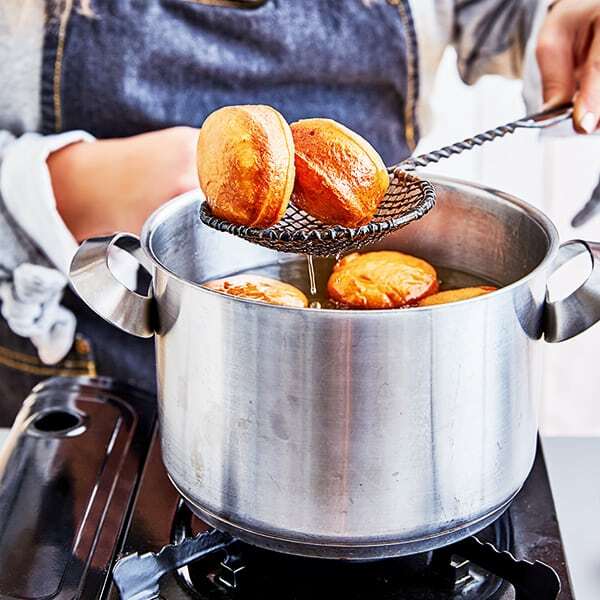 Use a large slotted spoon or frying basket to gently add the doughnuts, in 2-3 batches, to the hot oil and fry for 2 minutes, flipping them after a minute, until puffed up and rich golden brown. Drain on kitchen paper to absorb any excess oil, then roll in caster sugar to coat. 7. 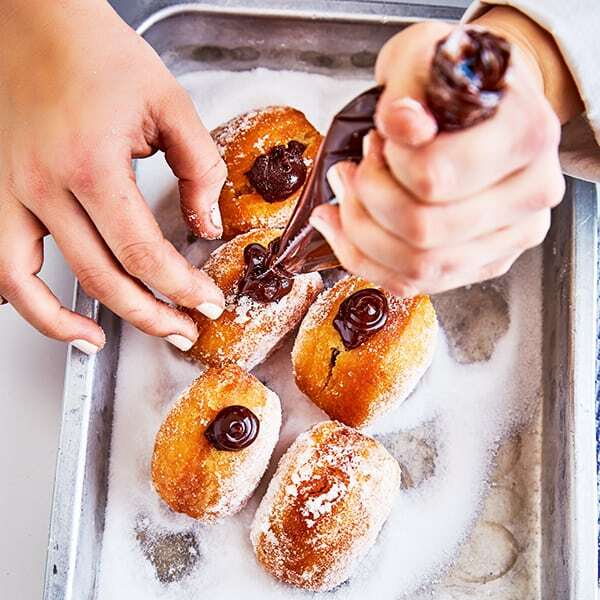 Using a teaspoon handle, make a hole in the side of each doughnut.Snip the end off the piping bag and pipe the Nutella filling inside to fill. Enjoy straightaway.